The Bridgewater Academy Lions Club’s 25th Indoor Antiques-Crafts-Flea Market will be held in the lobby and gymnasium of the Bridgewater Middle School (the former B/R Regional High School) on Saturday, March 23 (storm date March 30). It will be open to the public from 9 AM – 2 PM. The school is located at 166 Mt. Prospect Street, near the corner of Center Street, in Bridgewater. There will be 56 vendor spaces plus local Lions tables. The venue is handicap accessible from the large main parking area. This Antiques-Crafts-Flea Market will feature vendors from all over eastern Massachusetts, plus some from Rhode Island as well. The wide range of items offered for sale will include collectible glass and china, vintage linens and house wares, jewelry of all kinds including antique, silver, fashion, and hand-crafted jewelry. Also needlework, collectible dolls, home-sewn doll clothes, toys, candles, soaps, fashion accessories, new and used household items. The vendor area will also include the local VFW Post 2125 who will be collecting “Cell Phones for Soldiers”. This program recycles old cell phones and takes the proceeds to make 20 minute calling cards for troops overseas, many of whom do not have regular access to a computer to communicate with their families. The VFW will have collection boxes for cell phones and used ink cartridges at their booth. The Lions tables in the lobby will include baked goods, this & that, books-music-videos-games, a café, commemorative Bridgewater bells by Fenton, Rada cutlery, and Lions membership information. The Bridgewater Academy Lions also will have a drop-off at the book table for any prescription eye glasses and hearing aids that you no longer need. There will be a modest admission fee of $1.00 per person. Children under 12 will be admitted free if with an adult. Net proceeds from the admission fee, vendor rents, and Bridgewater Academy Lions tables will benefit local scholarships, community programs and other Lions charities. For general information call 781-447-1570. 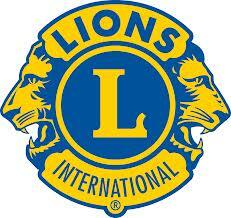 For vendor info call (508) 697-3765 or email Lionsflea@BridgewaterAcademyLions.org.